Since its inception in July, Blue Ribbons are currently displayed in 27 states and four countries, Iceland, New Zealand, Ireland, and Brazil. The ribbons are available free of charge at Golden and Malliotakis' office at 7408 5th Avenue, (718)987-0197. Malliotakis' district office in Staten Island, 11 Maplewood Place, (719)987-0197, also has them. 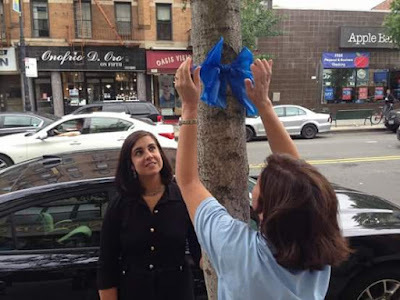 Malliotakis said of the Blue Ribbon movement, "This effort is about allowing the community to express it support for police officers and show them that we appreciate, care and respect them and we pray for their safety. 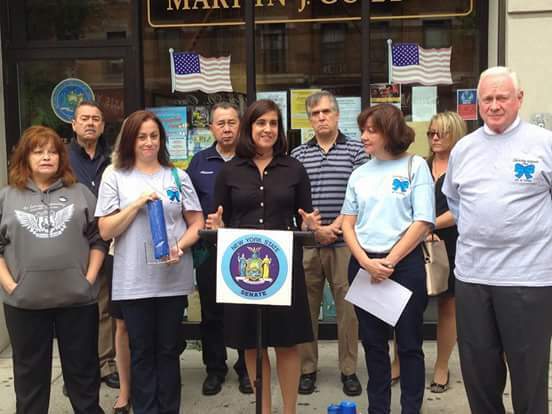 This is a wonderful initiative that I think Bay Ridge will truly support because we know this is a community that supports our law enforcement."